Many people look for Jesus in all of the wrong places. Where do you look for Him? One great place to start looking at Jesus is in the tabernacle. Not only has our Lord died on the cross for our sins, He also promises to be with us until the end of time. Do you want to be with Him? Visiting our Lord in His Real Presence is an act of faith, love and trust. It is a very simple approach to grow in holiness and friendship with the Lord: but one that we neglect most often. How many times have you heard someone say, or said yourself “I just don’t have the time to visit Jesus because________.” Imagine if the Lord said that to you in your most difficult moment in life “I do not have the time to visit you because I am too busy”. Of course, the Lord will never abandon us when we truly need Him, but unfortunately, due to many distractions and care for things of the world- we do abandon Him. Disdain and apathy for our Lord permeate the world today. As friends, we are called to be different. Many continue to mock, blaspheme, and offend Our Lord each day. We cannot even conceive how much pain and suffering God’s only Son endured to pay the price for our sins. Nevertheless, Jesus did it out of great love for us. Imagine the enormous consolation the Lord felt back then seeing you visiting Him today! Picture Jesus in the Agony in the Garden sweating drops of blood. He sees your act of kindness: adoring Him in church. You are visiting Him in His Real Presence in the tabernacle or during Eucharistic Adoration. What a comfort you are to Him in His pain and suffering! The Lord calls us all to be saints. 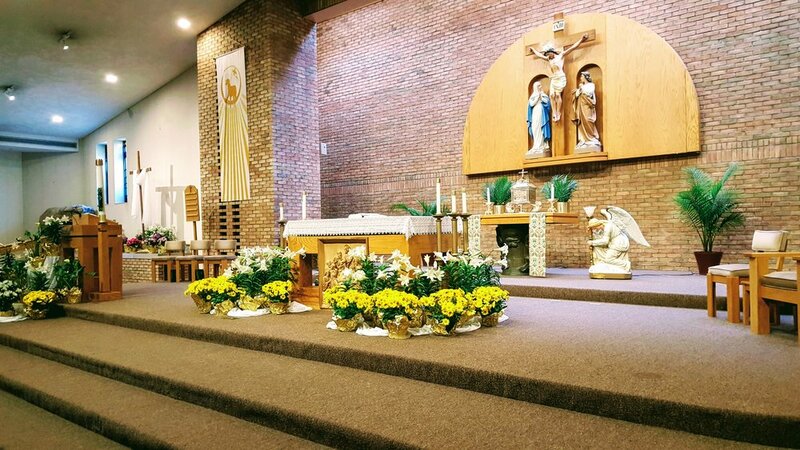 Sometimes the most saintly thing that we can do in our day is to stop in church and pay a visit, saying a quick hello to the Lord. This small act of kindness should not be underestimated. His heart is on fire for you, and all He simply desires is your love in return. His Mercy is endless, and His healing graces await you.